Sami needed the Uber gig to make ends meet. He could clock off after an eight-hour shift at his day-job in a supermarket, hop into his car and log straight on to the Uber app. This is one of the unintended consequences that can come with the “gig economy”: exhausted drivers on the road who have only an app for company and no one telling them when to stop. They are a danger to themselves and the public. 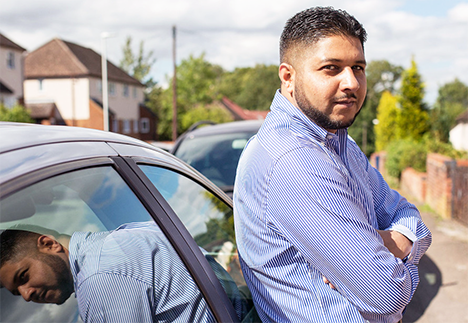 The rise of the gig economy makes stories like Sami’s common. But now a report by researchers at the University of Toronto takes the measure of that economy and its impacts on workers. The report confirms what many of us already believed: the gig economy is damaging workers’ health, making the labour market more unfair, and encouraging a boom in low-wage, precarious jobs. The researchers found that between 1999 and 2013, the number of people in the Greater Toronto Area who considered their work to be precarious shot up by 40 percent. These precarious workers generally have no health insurance, other workplace benefits, or long-term job security. In addition, the line between personal and professional time is blurred because workers have to use their own tools and respond on demand. Traditionally, workers have enforced their interests and defended their rights by organizing through unions. These organizations bargain with the boss and call strikes or protests when required to stand up for workers’ rights. The gig economy does away with this. Gig workers are often called “independent contractors,” meaning the businesses that employ them have virtually no obligation when it comes to benefits and even offering a set amount of work. As the researchers note, the businesses impose “ambiguous rules and criteria for success” on the workers. Add to this the fact that gig workers are typically isolated, with no connection to their colleagues, and you get a picture of the vast imbalance in power relations that creates the conditions for low-wage, insecure jobs. The urgent need for reforms to combat these problems is shown by the research’s findings on the negative health and social effects of gig work. Firstly, they point out that gig workers are typically isolated, encouraging feelings of loneliness and social exclusion. On top of this, the ratings system operated by many gig platforms, which allows customers to rate a worker’s performance, opens workers up to a new source of stress and worry. Often these ratings are arbitrary and based on things totally beyond a worker’s control, such as bad traffic during a Uber ride. Ultimately, poor ratings can result in the worker receiving less work or being fired outright. Taken together, all of these features of gig work have a detrimental effect on mental health. Another group of potential risks relates to worker safety on the job. The researchers identified a number of reports of female drivers being targeted through the use of “Find my phone” or app features. In addition, gig workers attending customers’ homes, for example to perform cleaning chores, are exposed to increased risk due to the large number of such visits they have to make. The provision of benefits to gig workers, including pension, disability, healthcare, and severance benefits. The adoption of measures to ensure gig workers are protected by minimum wage, workplace safety, and anti-discrimination laws. The need for regulations to prevent job platforms from producing a race to the bottom as gig workers are forced to entice customers by offering the lowest rates. The researchers don’t spell out how such measures can be realized. But it is clear that the bosses won’t hand them out from the goodness of their own hearts. Achieving more rights for precarious workers is bound up with the need to organize these workers to fight for their rights. While the structure of the gig economy poses challenges to this, unions and other organizations are taking creative approaches to engage workers who don’t fit into the traditional labour market. Unifor, for instance, has established so-called community chapters, a form of organization that allows isolated workers to come together and struggle for their rights if they can’t join a traditional union local due to their working arrangements. There’s also more work for researchers to do to better understand workers’ needs. As the UofT report notes, there is “a lack of studies looking at the lived experiences of gig workers, an understanding of the health and economic impacts of the gig economy, especially on vulnerable groups, and more empirical data in general.” Developing this work would help inform solutions to guarantee workers’ rights and protections under conditions of increasingly precarious employment.